The term “biodiversity” has become a household name within the scientific community and has been used to describe habitats and organisms as varied and diverse as cacti in deserts to birds in mangrove coastlines. 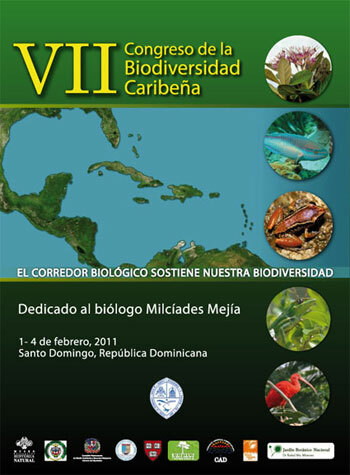 On February 1-4, 2011, the VII Congress of the Caribbean Biodiversity (sponsored by the Universidad Autónoma de Santo Domingo) celebrated the importance of our biological corridors in sustaining our region’s biodiversity. In light of this, we surveyed several participants (n=11) at the conference, with the help of members from the Interdisciplinary Center for Coastal Studies (CIEL, in Spanish; http://amp-org/ciel), on the types of studies or information needed to improve conservation and management of our marine and coastal resources within a 5- or 10-year period. Impacts of climate change (e.g., seawater temperature, sea level rise, beach erosion, species migration), developing environmental indicators and environmental/biological standards for public health, and studies on the carrying capacity and the influence of visitors and local resources users on coastal areas were seen as requiring at least 10 years to obtain sufficient data for better management strategies. Habitat utilization, effects of toxic metals and other pollutants, and assessments on the economic impact of management on commercial and recreational marine/coastal organisms were considered achievable within 5 years. With regard to obstacles that may be hindering better management practices, insufficiently trained and skilled personnel was deemed the most common along with the lack of consistent and reliable monitoring of data collection. For more information, please click here to read about CIEL’s contribution to this conference. ¿Cuando es el próximo congreso (VIII) de Biodiversidad ? Gracias por su mensaje. Tengo entendido que aún no han anunciado las próximas fechas del congreso. Me imagino que será para principios del próximo año, si es que lo dan anualmente. whoah this weblog is fantastic i love reading your articles. Keep up the good paintings! You understand, a lot of persons are hunting around for this information, you can help them greatly.